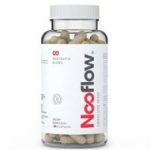 Nooflow Absolute Mind Reviews: Does It Work? What is Nooflow Absolute Mind? This is a nootropic formula that is made of components that might help enhance a person’s memory and information processing ability. 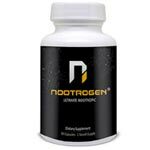 Nootropics are known for charging up the neurons in the body and by so doing, protecting and enhancing the important neurotransmitters such as Acetylcholine, serotonin, dopamine, and norepinephrine. This may lead to the brain maximizing its efficiency. Nooflow Absolute Mind may help you improve your level of concentration and make you more alert to situations around you. The manufacturer claims that with this supplement, you might be able to improve your performance to work projects, exams, and during exercise. In addition to that, this supplement might also help promote your mood, fights high-stress levels and act as a powerful antioxidant for fighting free radicals in the body. Who is the Manufacturer of Nooflow Absolute Mind? This supplement is manufactured by CORPOLABS Ltd, which is a company based in Bulgaria. However, the production of their supplements takes place in Barcelona, Spain. Despite that, the company is a reputable one across Europe. It has a well-established website with a lot of information about this product. The manufacturer claims that this supplement might help users with different things such as increasing their information processing capability, giving them better short-term and long-term memory recall, increase their mental energy and alertness. It might also help improve mood and enhance both focus and concentration. How Does Nooflow Absolute Mind Work? Nooflow Absolute Mind capsules may help increase the blood flow to your brain which would lead to improvement in activeness and your general well-being, thus keeping the brain cells healthy and active. This supplement is able to achieve its functions with the help of the nootropics components present in the capsule. 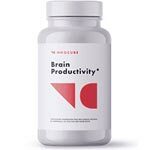 The nootropics aid in the production of the neurotransmitters which are useful in increasing brain function and reducing factors that cause stress. The nootropics are also key in boosting the nervous system which might lead to enhanced performance and processing needs. Nooflow Absolute Mind Ingredients- Are They Safe and Effective? The functionality of this supplement depends on nootropics and most of the ingredients used in manufacturing this supplement are nootropics. The main ingredient is Alpha GPC which is a natural choline compound that might be a potent memory booster. Alpha GPC – Alpha Glycerol Phosphoryl Choline might help improve symptoms of dementia such as behavior, mood, and thinking skills. It may also help improve memory, learning ability, and thinking skills. Uridine – This ingredient, when combined with choline and DHA, may help increase the synapses that are formed in the brain. It may also help reduce stress by inducing sleep. Lycopodium Serratum – It acts as a cholinesterase inhibitor which prevents the breakdown of acetylcholine, a chemical that is crucial to learning and memory retention. It also contains some chemicals that help boost energy, and increase the alertness level. Bacopa Monnieri – This is a nootropic that may help in the reduction of anxiety by protecting the brain from oxidative stress and improve communication between neurons. It may help in memory retention by enhancing blood flow to the brain. Grape Seed Extract – It contains some vitamins which may help improve concentration, memory, and mood. Vitamins – Vitamins B6, B12, and other essential vitamins are present to help the natural nootropics present in the supplement. What are the Advantages of Nooflow Absolute Mind? It could improve your focus and concentration while also boosting memory power. The daily dose of Nooflow Absolute Mind might help users improve their information processing skills. It may help boost not only mental strength but also physical strength by boosting energy levels. This supplement may also help improve both mood and self-confidence if taken regularly. What are the Disadvantages of Nooflow Absolute Mind? There are some ingredients that are not needed in this supplement. Acetyl Carnitine may help in bodybuilding but it is not useful for cognitive function improvement. The exact amount of vitamins available in the supplement is not mentioned. The supplement claims too many benefits and not all of them might work. Even though all the ingredients are natural, Lycopodium Serratum may limit the brain’s ability to regulate acetylcholine levels and cause some effects on the body. How Should You Take Nooflow Absolute Mind? You can take this supplement according to the direction of the manufacturer. For a start, capsule following your meal is recommended and it can be increased to 2 overtime. Users are warned not to exceed 4 capsules per day. How Much Does Nooflow Absolute Mind Cost? A bottle of this supplement is sold for €59.00 and each bottle contains 60 capsules. You can buy 2 bottles for €99 and get a discount of €19. Buying three bottles cost €129 and you save €38. What is Nooflow Absolute Mind’s Return Policy? The manufacturer has a return policy of 60 days for this supplement, with the user to get a full refund if they are not satisfied with this product. Does Nooflow Absolute Mind Offer a Free Trial? The manufacturer doesn’t offer a free trial for this supplement. Nooflow Absolute Mind is a supplement that may help increase cognitive functions. This supplement may help increase the user’s information processing capacity, boost their short-term and long-term memory recall, and increase their mental alertness and focus. In addition to that, it may also help improve mood and self-confidence while helping fight free radicals in the body. However, there are some ingredients present in this supplement that are not useful to cognitive functions while the amount of vitamins used is not mentioned. There are other cognitive supplements available in the market you can try out if you are not satisfied with this one.